Pick no more than four goals and focus. We started this Starting Well process by dreaming big and brainstorming goals. We then brought these goals, outcomes, projects, and objectives into order under what we’ve been calling ‘Battle Lines’: those areas and roles in your life that you’ve identified as important. In essence, we’ve been creating a life plan. It’s an absolutely wonderful document to have and will serve you for years to come. But you can’t tackle everything at once. It’s simply not possible. You can’t train for a marathon and a bodybuilding contest at the same time. You can’t learn to play tennis, take a photography class, commit to weekly dates with your spouse, volunteer twice a week at your church, and take on a second job to tackle your debt. You can do it for two or three weeks, but not much longer. You must make trade-offs. Today, I’d like you to go through your goal list and commit to no more than four. Feel free to focus on only one if you’d like – for some of us, if we make one key change, it’ll send positive reverberations in nearly every other area and relationship. Setting and hitting goals is a skill: If you’ve never been intentional about this process, then it takes some practice. Start hitting the ball off the tee, then move up. Keystone goals lead to greater success: Keystone goals or habits are those that, if done consistently, will bring alignment in other areas of life. Multitasking is a myth: While you think you’re multitasking, you’re actually just rapidly switching focus from one thing to another. What we call ‘multitasking’ isn’t efficient at all. Goal achievement is a mental game. Our minds have only so much bandwidth. Experience tells us you have to focus: If you’ve ever tried to make tons of changes at once, you know it’s frustrating or worse. Let’s keep it simple. Take out your list of goals and outcomes again. Think again about the two battle lines you chose to highlight on Day 4 and Day 5 most important. 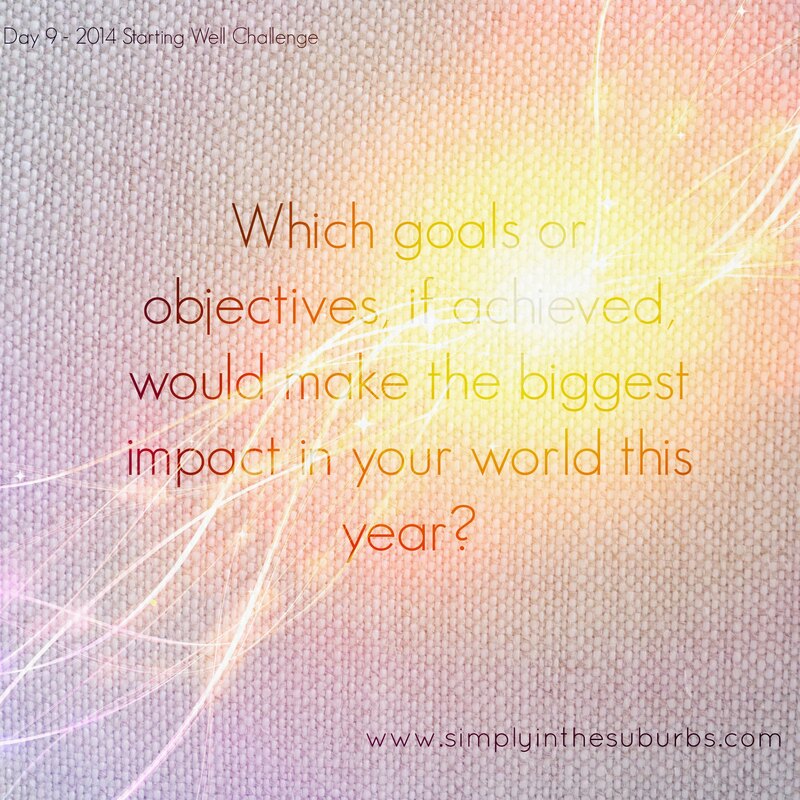 Which goals or objectives, if achieved, would make the biggest impact this year? Pick one. Pick two. No more than four. 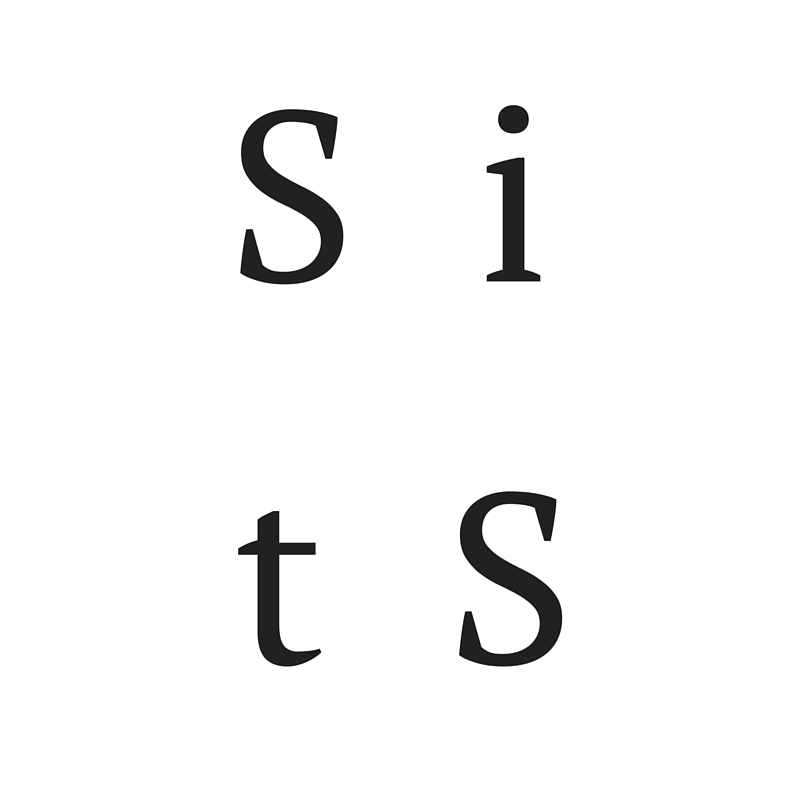 You might have that one thing that jumps out… you might want to make that your sole focus. You might want a career/work goal and a home/personal goal. You might need to focus on restoring a key relationship while bolstering your health. Pick the obvious ones. Write them down somewhere you can regularly see them – even daily. Keep your selection handy for the last few days of the Starting Well Challenge. These will be our focus. And don’t worry about the rest of the goals and outcomes on your list. There’s power in the work you’ve done so far in this Challenge. You’ll get to the other goals and outcomes in due time, sometimes without even trying. For some changes, all you needed to do was to identify the need. Pick the key, most impact-rich objectives from your list and write them down where you’ll see them often. Pick no more than four – only one if that will make the biggest impact. Preview Day 10: Tomorrow we’ll talk about the first steps in installing practices and habits to support and drive you toward your main objectives.